I kept it simple and used a sheet of buttery yellow card stock and a soft green DP from my stash. The button brads, twine and ribbons are also from my stash. The sentiment is Lili of the Valley. My two favorite colors are green and yellow - this card just makes me smile. 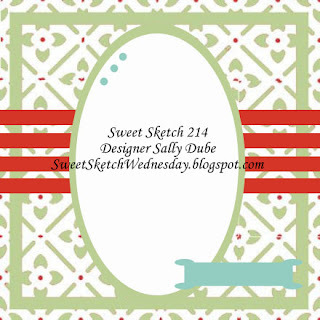 Head on over to Sweet Sketch Wednesday and check out the wonderful cards by the Design Team this week and get your crafting on!! Can't wait to see your creations. 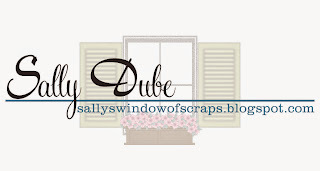 This week's Winner will receive a $12 Gift Certificate to the ADFD Shop!! Hi Sally, wow what a sweet card, I love this lovely image it's really cute. Love your papers and embellishments. Thanks for this great sketch I love how is shows off your design papers. Take care is it count down to your daughter Wedding now? Have a great week. Thanks Kathie - One month from today!! Lots to do these next few weeks, a very Blessed time!! Hi Sally, I love the yellow and green color combo and I really love houw you have the kite coming off the oval. jHave a wonderful week. What a sweet image and such summery colors! I can almost feel the breeze blowing that kite! This is just so adorable and I love the yellow and green combo. The tiny buttons are perfect too! What a soft lovely card and I ADORE how the kite sails out of the oval with it's string ribbon. Completely cute! Enjoy this time with your daughter. I remember how important my mother was to me during my wedding. Good memories. Such a darling card Sally! Love your image and the addition of the kite. How perfect. Such a fun image and I love your sweet colors! Fun sketch TOO!!! Thanks Hugs Arlana@SSW!! !